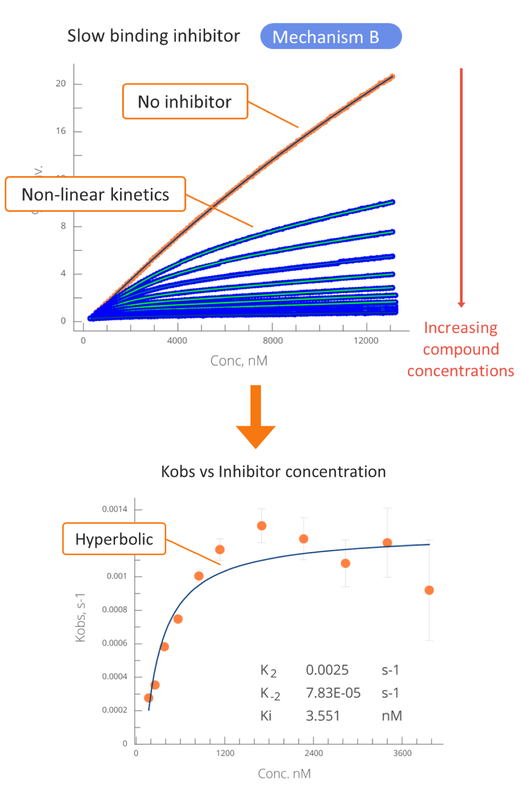 Enzyme kinetics studies play important role in understanding the mechanism of enzyme. The effect of different conditions on the reaction rate is measured. The active compound can inhibit enzyme using three different mechanisms, and enzyme kinetic measurements can elucidate whether it binds to the active site, in its close proximity or to the allosteric site. Different mechanisms will result in different relationship between the compound concertation and observed equilibrium constant. Our microfluidic platform allows to study enzyme kinetics and inhibitor mechanism of action, producing highly precise and reproducible results. 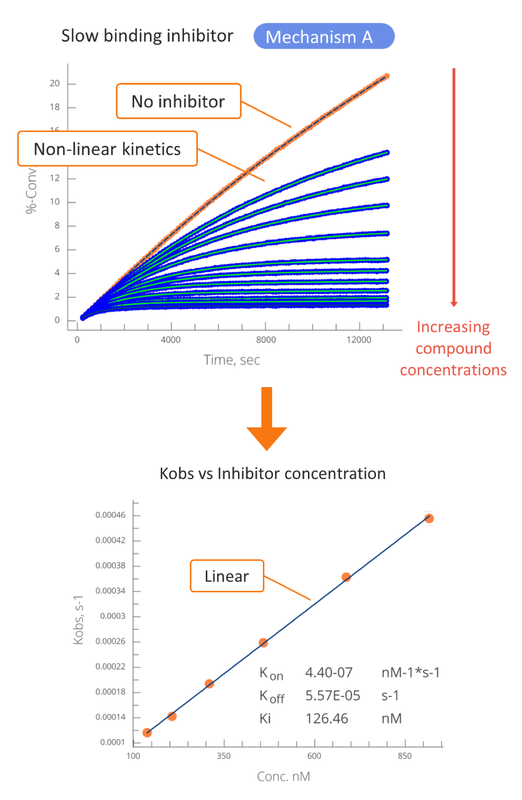 Kinetic analysis is achievable due to visualization of product and substrate in ‘real-time’.